Where will the World Championship be held? 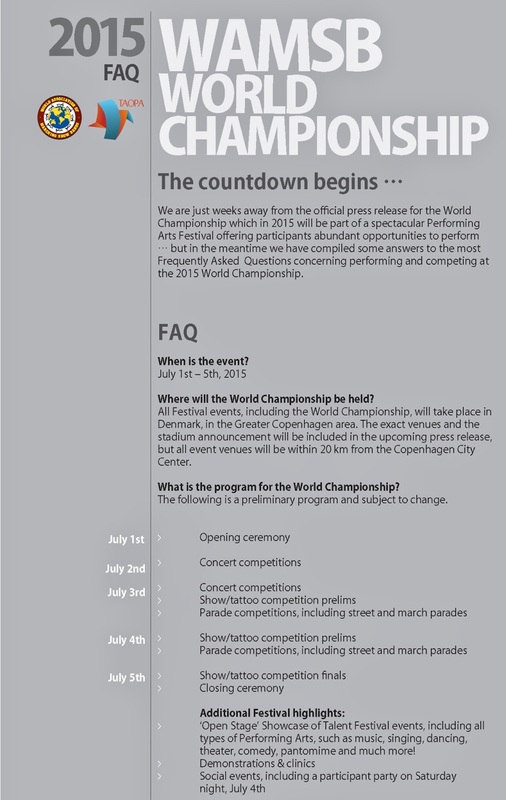 All Festival events, including the World Championship, will take place in Denmark, in the Greater Copenhagen area. The exact venues and the stadium announcement will be included in the upcoming press release but all event venues will be within 20 km from the Copenhagen City Center. 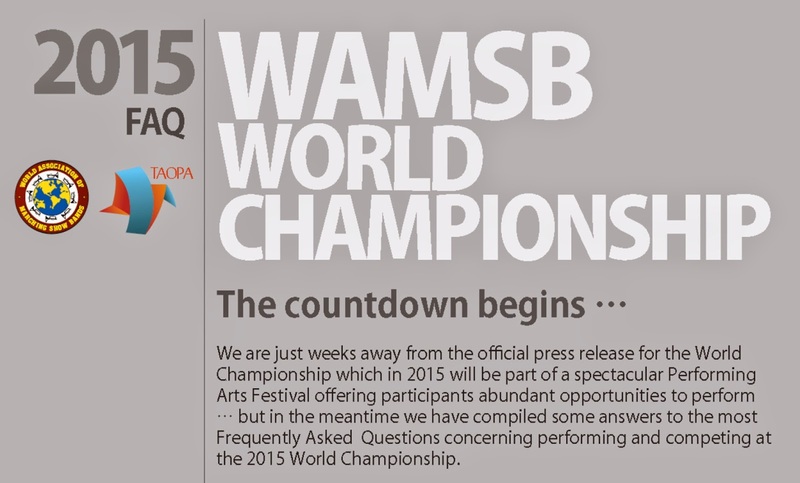 What is the program for the World Championship? 'Open Stage' Showcase of Talent Festival events, including all types of Performing Arts, such as music, singing, dancing, theater, comedy, pantomime and much more! Social events, including a participant party on Saturday night, July 4th. The opening ceremony will be in the evening on Wednesday July 1st, with the closing ceremony projected to be in the late afternoon / early evening on Sunday, July 5th. With that said, we recommend that participating bands plan on arriving on Tuesday, June 3oth, or during the day on Wednesday, July 1st, and departing on Monday, July 6th. Naturally, we hope that all participating bands will be present for the entire event, but should school schedules or other conflicts necessitate a late arrival or early departure, we will do our best to schedule your band's performances accordingly to ensure that your experience is worthwhile. If you are interested in extending your stay beyond the event to experience all that Denmark and Copenhagen have to offer, our event team will be more than happy to work with you to accommodate any special requests. Who's the local host or organization in Denmark? 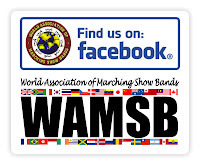 The local Danish host is TAOPA - The Academy of Performing Arts, the official education and even platform of LGF - The Danish Association of Marching Show Bands. Shortly after the press release an e-mail communication will be sent out, announcing and outlining the registration process. Yes, each participating band will be required to pay a registration fee of EUR 380 to participate and compete at the 2015 World Championship. What is the projected cost per participant for accommodations and meals that will be offered? The cost per participant for the basic package will not exceed EUR 35 per participant per day, and we are working diligently with local partners and sponsors to reduce this fee as much as possible. What's included in the daily cost per participant for the basic package? Is it possible to upgrade our accommodations? Yes . It will be possible to upgrade your band's accommodations to a hostel and/or hotel, for an additional fee. Information on how to upgrade will be integrated into the registration process. Should we bring our own sleeping gear? Unfortunately not. However, three meals will be provided per day, as stated above. Our event team will work with each participating band arriving by air at the Copenhagen airport (CPH-Kastrup) to ensure that all the necessary arrangements and logistics are in place, i.e. equipment transport, airport transfers, etc. Will there be an event website? Most definitely!! An official World Championship web hub will be integrated into the new Festival website, which is expected to online shortly after the press release. Here you will be able to access all World Championship and Festival particulars and updates, while families, friends and fans enjoy the ease of customizing their experience by booking accommodations, all -inclusive packages, even tickets, and much more. How will even updates and pertinent information be communicated?